For the right....inducement.....I'm open to anything.... I think we'll stick to the 1 repair format for this race though - think of it as a ChampCar specific random mechanical failure feature. Just be thankful you don't need to change an engine in the middle of a 24hr race. Haven't experienced that issue - I ran in another league on the track on Sunday and nobody reported having a problem. Try turning down graphical settings a tad, or contact support if the issue persists. Thanks to all who raced and watched tonight, really fun race and our closest ever finish in the Sim Series, just 0.024s at the line. Clip below is my own penultimate lap drama, lucky that I didn't wipe out John and Alex! Hi All, My sincere apologies about the east-coast session not launching tonight. The BetaUI has been having issues reflecting session launch times and when you select a new date/time it won't update the view. This must have nixed the early session but the later one launched as anticipated. I have set up a replacement practice session for tomorrow night, launching at 6pm Eastern, and with exactly the same session parameters. I see it in my league sessions so it should launch without issue. Sorry again. 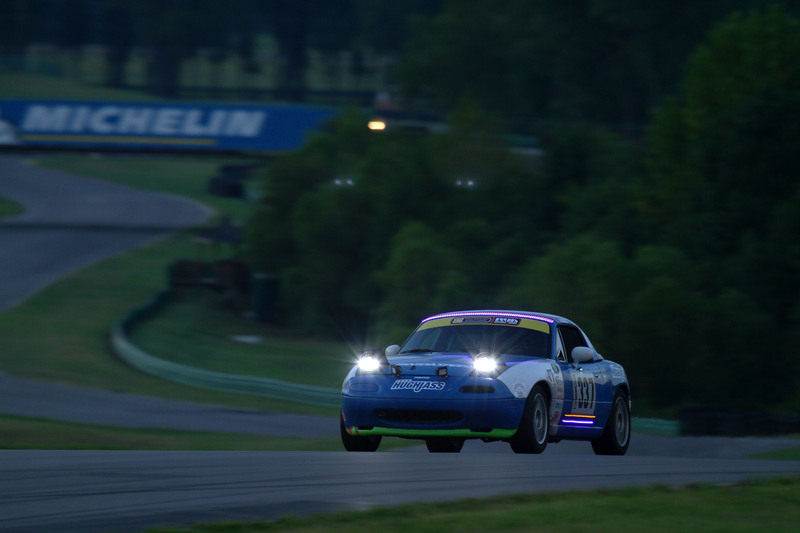 We found out that we were lucky to finish the VIR 24 last year. 16 hours of open pit-lane track time for $1425; that's a hell of a deal on a test session regardless of occasional traffic to be encountered and squished. Yeah, I noticed that too (because it was right in front of me). The start was a bit messy with the field checking up a couple of times but that was less than ideal. I had a quick look at the replay and there were no incidents resulting directly from that move, and the driver in question then had a fairly eventful race anyway, so I'm not going to take any action. Just a reminder on the rolling starts to keep tight to the car ahead, and only go when the car ahead goes. Fun race for me last night, logged in to the session at 8:55pm, my one qualifying lap got me 19th but was up to 8th at the end of lap 1 and was able to work my way up to 3rd by the flag. Congrats to the two Alex's for the Multi 12 result at the front, and to everyone for a clean and fun race throughout the field. Will post updated championship standings this weekend. Also big thanks to @Doc for stepping into the booth for the broadcast, was great to have you onboard and I hope you can do a few more this season! Round 4 tonight, good luck to all competitors. Just a note that I will reiterate in session - driving on the apron (ie, below the solid line on the oval portions of the track) is discouraged, especially when battling for position. I hope I can trust everyone to be sensible about it and to give plenty of racing room as required. The Bike layout in iRacing still uses the tighter T1 (although as the final corner rather than the first due to the direction of racing). The tighter T1 was a result of the changes made before the Indycar GP in 2014 - the "old" (wider entry) version looks closer to how the F1 track used to be in the early 00s, but I think they remodeled that as well. Lap 1 will be an adventure for all!